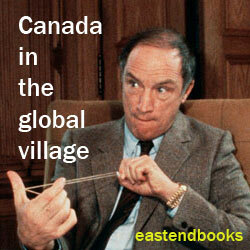 Citizen X on Canadian election 2015, IV .. new Ipsos poll etc : are the Trudeau II Liberals ahead .. at last (maybe)? 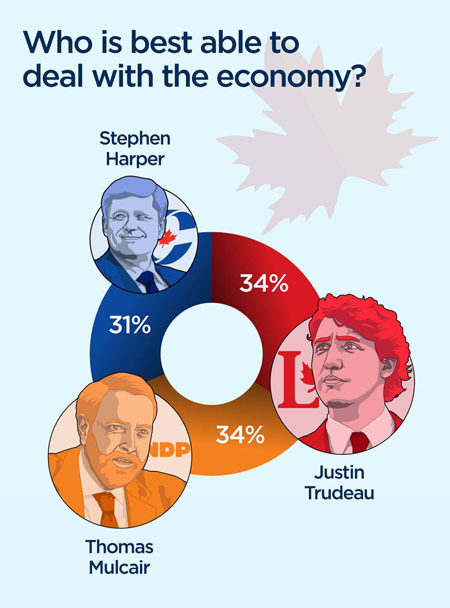 Ipsos poll for Global News, September 18–21, 2015. Yesterday at 4 PM ET the Global News site posted the latest maybe interesting story about the ongoing Canadian federal election campaign, which now has a little less than four weeks left until voting day, Monday, October 19. 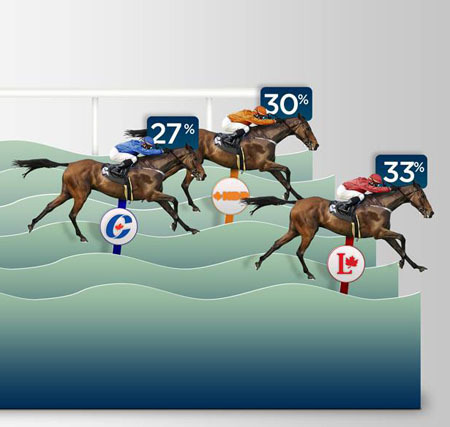 No one paying serious attention to the 2015 Canadian federal election will of course be surprised to hear that these results are not exactly confirmed by other recent polling intelligence. Eric Grenier’s averages on the CBC Poll Tracker, eg — “Updated September 21, 2015, including polling in the field to September 20, 2015” — reported Conservatives 30.5%, New Democrats 29.8%, and Liberals 29.6%. The Canada-wide Nanos numbers for September 18–20 similarly reported Conservatives 31.0%, Liberals 29.4% and New Democrats 29.1%. 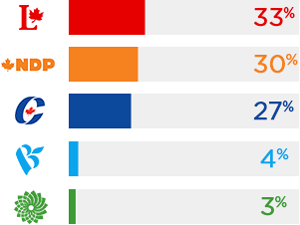 And the Nanos Ontario results for the same period were Conservatives 35.5%, Liberals 34.5%, New Democrats 24.4%. 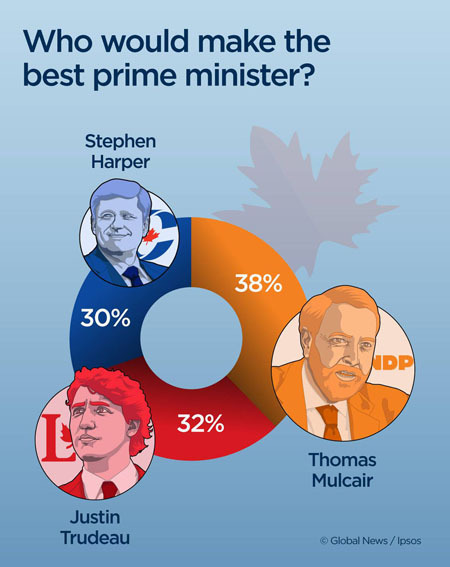 (2) In response to the question “Who would make the best prime minister,” 30% of Ipsos respondents said Stephen Harper, 32% said Justin Trudeau, and 38% said Thomas Mulcair. So … it still does seem to be a race that, at this point at least, almost any of the three major parties and/or party leaders can win — or at least finish first in. Stay tuned. Tags: Canadian election 2015, Darrell Bricker, Liberals ahead in Canada?, Mulcair best PM?